Biking is much better than jogging for lots of folks, since you don’t punish your knees as much impacting on the ground. The problem with biking, however, is that actually going outside to bike can be dangerous. There’s always the risk of accidents when you go out biking. You can hit a stone on the ground and take a tumble. You can hit pedestrians, or cars can hit you. It’s also not really fun when it rains. All these problems are solved simply with stationary bikes for home use. 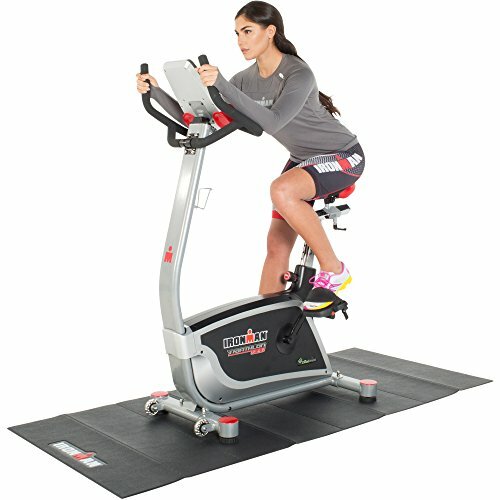 You can set it up in front of your TV so that you can watch your favorite morning programs as you work out. You also have a useful monitor that displays various data, such as the miles you’ve travelled, your speed, and even the number of calories you’ve burned up. 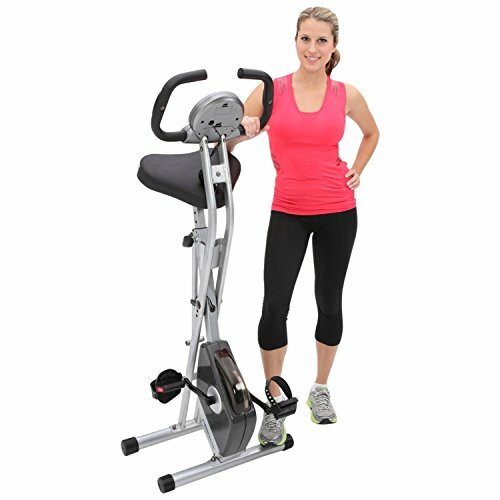 The best stationary bikes offer a range of resistance levels, and others even come with preset workout programs so that you can more handily achieve your fitness goals. The best ones are very durable and offer a very comfortable workout position as well. This bestselling bike is affordable, yet it packs a lot of features. It offers 8 levels of magnetic tension and the hand pulse sensors let you check your heart rate. Your various data feedback details are displayed on the huge LCD screen that measures 3.3 by 1.5 inches. It can support up to 300 pounds and the large seat cushion can accommodate users ranging from 5’3” to 6’1”. It occupies little space, and you can also fold it down further for easier storage. This also has a small footprint, but it offers huge benefits. 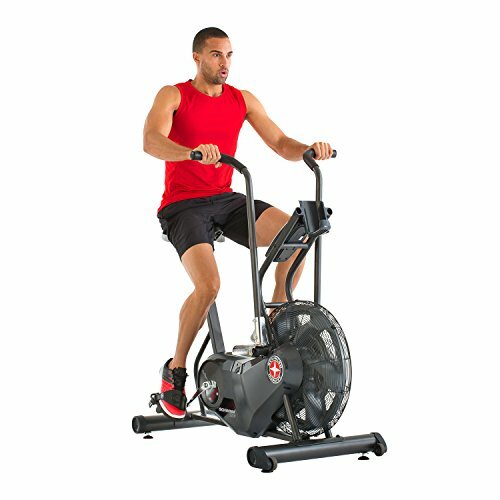 It offers 16 resistance levels, 20 preset workout programs that you start with a single programmed key, and hand grip heart rate sensors. The LCD screen is huge, but you can adjust it so you can watch TV. 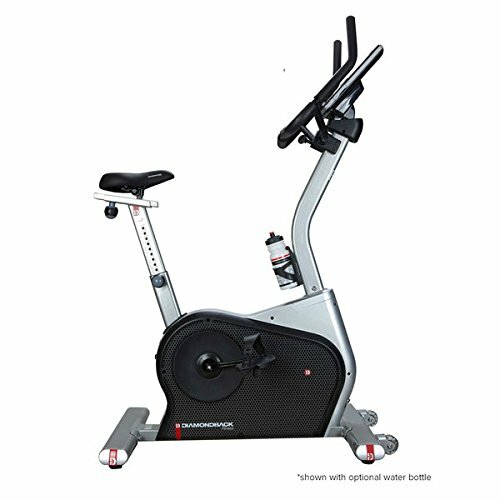 Other bonuses include a built-in speaker system, adjustable handlebars, a multi-speed fan, and even a foldout magazine rack. This gives you a lot more than what you’d get from other bikes. Here you have 2 LCD displays showing 13 feedback details. You have 25 resistance levels to work with, and to help you have 29 preset programs along with goal tracking and 4 user settings. There’s also a USB port to save data and for charging your smartphone along with integrated sealed acoustic chamber speakers. 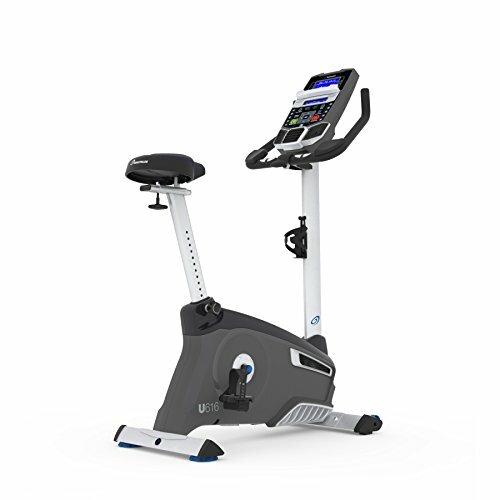 This is the top of the line Nautilus upright bike, and for good reason. It offers 29 preset workout programs to help you maximize the benefits of the 25 resistance levels. You get to check 13 feedback details in the 2 LCD monitors. It comes with an MP3 port and integrated speakers, and adjustable padded seats, and an adjustable fan. 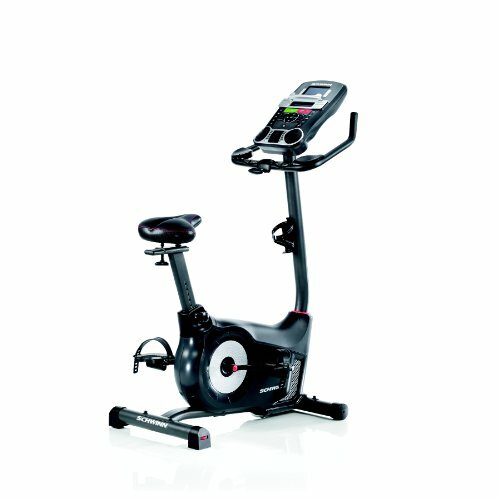 This uses wind resistance, so the resistance increases as you pedal harder. The LCD display also shows the RevMeter RPM gauge that works well with interval training. It offers continuously visible metrics, special foot straps on self-balancing pedals, and transport wheels. It also has a wind screen, reading rack, and a built-in bottle holder. This is extremely durable, as the frame comes with a 15-year warranty. This can handle a weight of up to 220 pounds. The seats and handlebar are adjustable to fit your preferences and height as well. 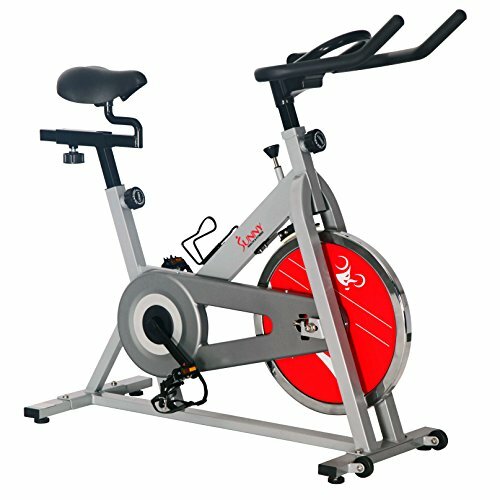 It comes with integrated transport wheels and the chain drive system works smoothly and quietly.